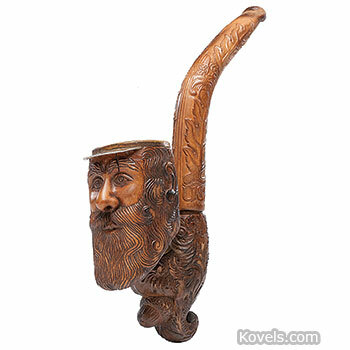 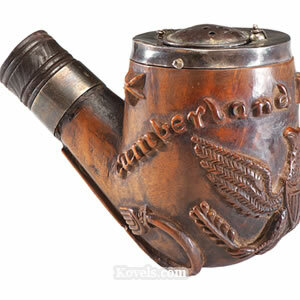 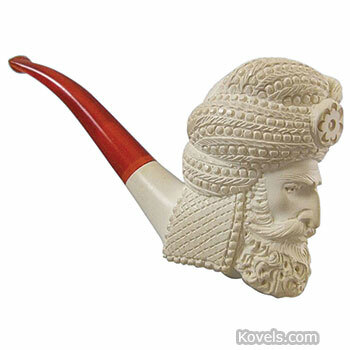 Pipes have been popular since tobacco was introduced to Europe by Sir Walter Raleigh. 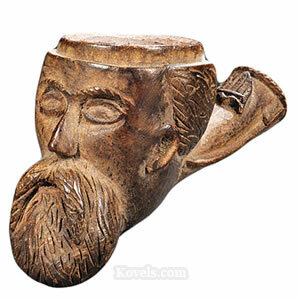 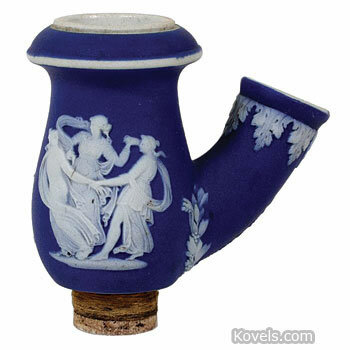 Chalk pipes were mass produced beginning in 1580. 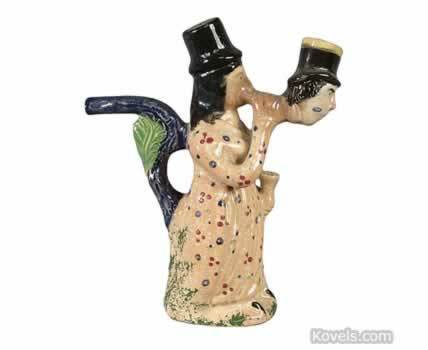 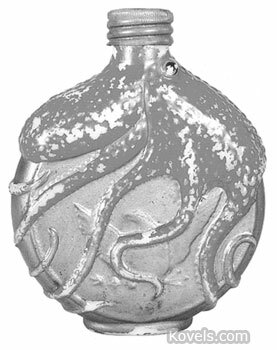 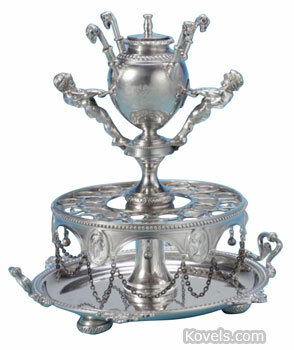 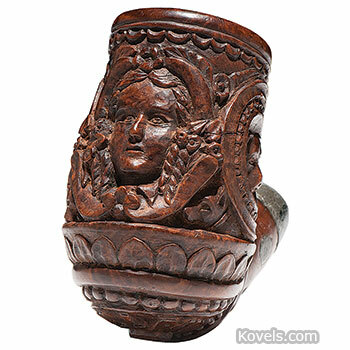 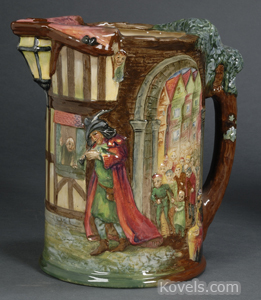 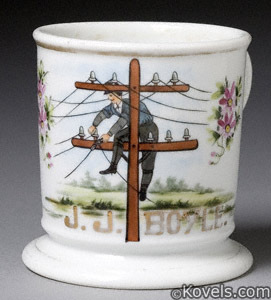 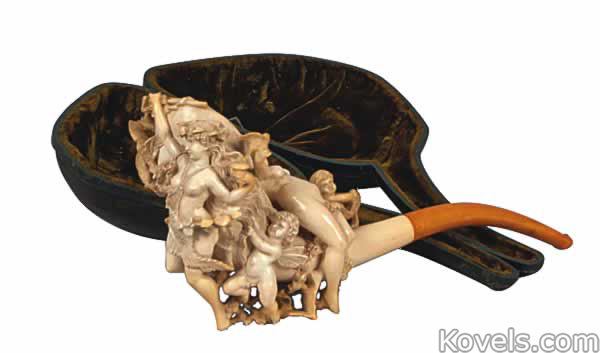 Carved wooden, porcelain, ivory, and glass pipes may be listed here. 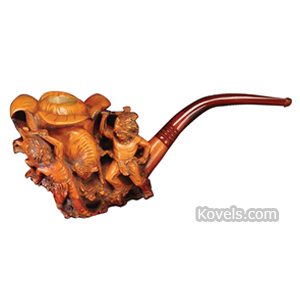 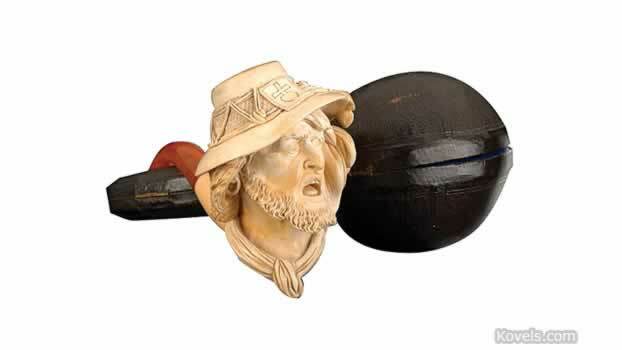 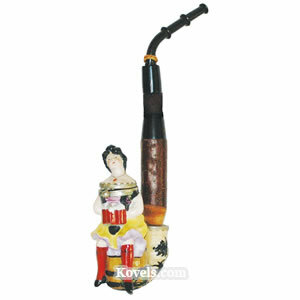 Meerschaum pipes are listed under Meerschaum.